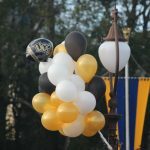 All images taken by Sarah Kelliher for Knight Sports Now. 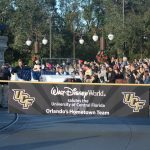 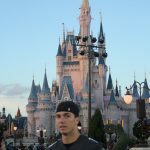 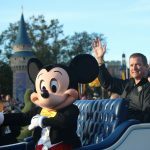 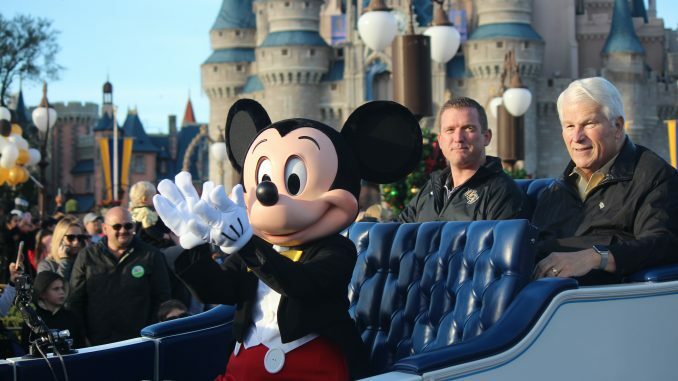 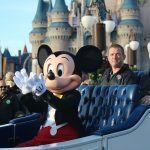 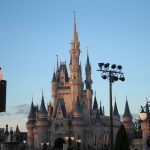 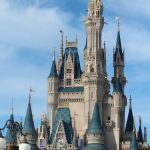 UCF Athletic Director Danny White (left) and UCF President Hitt (right) rode with Mickey Mouse in at the start of the parade. 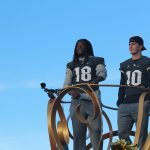 Titus Davis (10) and Trysten Hill (9) celebrate during the parade. 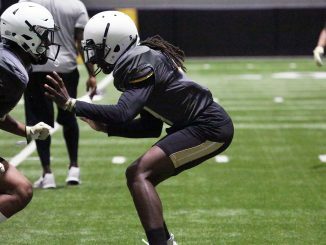 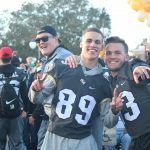 UCF’s newest transfer Tre Nixon (89) and Hayden Kingston (13) who were former high school teammates, pose for a photo. 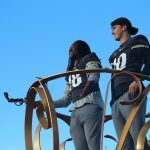 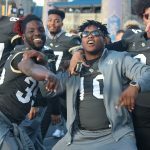 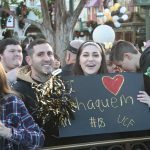 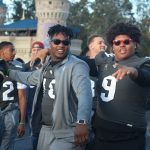 Shaquem Griffin (18) and McKenzie Milton (10) stand atop a float at the UCF parade. 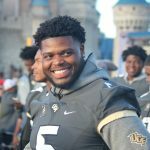 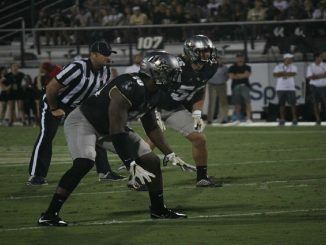 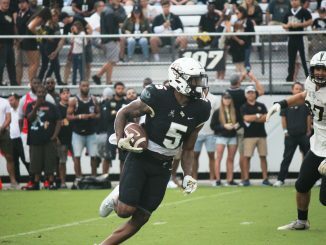 Jamiyus Pittman smiles as UCF fans cheer on the team.